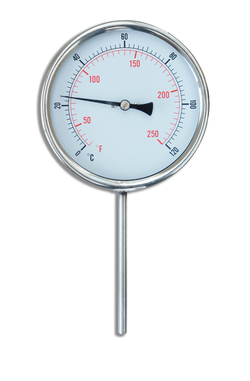 These thermometers are mostly used for: Ovens, Dryers, Storage Tanks, Food Processing, Dairies, Breweries, Pharmaceuticals and Petro-Chemical Industries, and Refining. 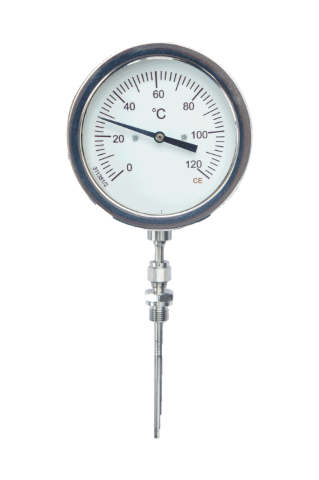 These thermometers are designed most stringent environmental conditions, together with an accurately manufactured bimetallic coil, which ensures each instrument has a long dependable life. 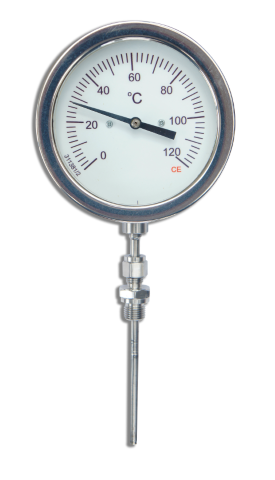 These thermometers are mostly used for: Dryers, Storage Tanks, Food Processing, Dairies, Breweries, Pharmaceuticals, Petro-Chemical Industries, and Refining. 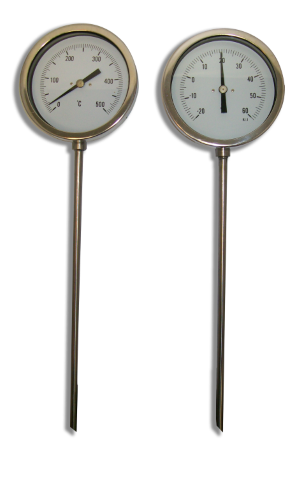 These thermometers are for use in refrigeration of food and Dairy Industries. The filled system thermometers offer tough yet accurate instruments with rigid stems for direct mounting or with flexible capillary for remote reading. Non toxic filling. 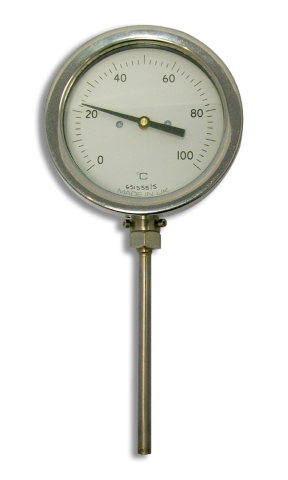 These thermometers are used in refrigeration of food and Dairy Industries. The filled system thermometers offer tough yet accurate instruments with rigid stems for direct mounting or with flexible capillary for remote reading.